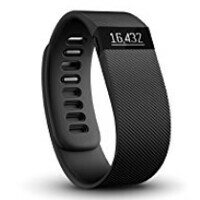 Earlier this year, FitBit had to order recalls of the FitBit Force due to skin irritation that was affecting wearers. FitBit CEO James Park had written that less than 2% of Force users were affected by what was believed to be contact dermatitis. There was speculation that users were responding to the adhesives employed in the production of the fitness tracker. Now, a brand new wearable, the FitBit Charge, is also causing skin irritation. There is some question about whether the rashes are coming from the exact same issue that caused the recall of the Force. The manufacturer says that out of the more than one hundred thousand people who have purchased the FitBit Charge, only a handful have complained about skin irritation. FitBit is blaming sweat, water or soap that might have been captured between the band and the user's skin. The company also says that pressure or friction between the band and the skin could have caused the problem. FitBit says that taking the device off should clear things up within hours or days. The problem is that when the device is put back on, the rash returns. FitBit states that the problem with the new Charge has nothing to do with the contact dermatitis that caused the problem on the Force. After the latter was recalled, FitBit made some changes, replacing the adhesives that were blamed for the dermatitis, with screws. The company also met with dermatologists when designing the FitBit Charge to prevent a repeat of the skin irritation seen on some Force wearers. "The reactions we are seeing with Charge are not uncommon with jewelry or wearable devices that stay in contact with the skin for extended periods. According to our consulting dermatologists, they are likely from sweat, water, or soap being held against the skin under the device, or from pressure or friction against the skin and should resolve quickly when users take a break from the device, usually within hours or days. The bottom line is that even if FitBit is right, and the irritation seen on the FitBit Charge has nothing to do with what caused the dermatitis on the FitBit Force, there still remains a problem of some sort that is making the wearable uncomfortable for some consumers to enjoy using. Until a solution can be developed, FitBit is in danger of losing plenty of business. FitBit Charge allergy of retard people. Mostly it is people who are not so bright who buy a little plastic band and think it is going to make them "fit". Maybe they think the tighter they strap it on, the quicker it will work to make them "fit".